Next time when you are out and about, remember that no other transportation company can provide you with such amazing treatment as our devoted team can. After all, those unbelievable rates and such an impressive fleet can be found only at Imperial Transportation. Book your ride, relax and experience what true luxury feels like. Sometimes you just have too many meetings in one day or too many errands to run. You find yourself overbooking your day and wondering if there is any way you can do everything that you panned. The situation gets even more hectic when there is a plane to catch afterward. This is where our impeccable limousine service shows its true powers. With our hourly limo, you will have nothing to worry about. When your agenda is filled with theatre plays, sporting events, shopping tours, dining out or spending the night out on town, a pre-arranged black car service will come in handy for sure. You will be able to make as many stops as you like, with a skilled driver ready to take you to your next destination promptly. After your busy day is done and you just want to reach your home or the local airport, our limo service will give you the opportunity to relax and unwind while taking you to your destination on time. Nobody needs hourly limousine as the business people do. Their schedules are booked and if they were to look for transportation every time they left a meeting or an airplane, they would waste a lot of time. Luckily, our limousine service by the hour is available at all times – day and night, even during holidays because we don’t want you to be stressed over transportation. If you have an important guest coming to Orlando for just one day like a client or a lecturer at your conference, you can book our limo service and relax knowing that they will get a superb treatment. No matter where in Orlando area your next stop is, the Imperial team of professionals can take you there in the greatest comfort. 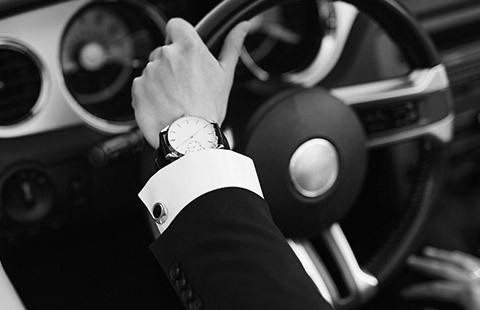 Imagine having a reliable chauffeur at your disposal for hours on end, driving you from door to door, wherever the road takes you this time around. When you book a trustworthy chauffeured service, a peaceful ride to any location is guaranteed. You will get where you are headed in a stress-free manner, and when you step out of a luxurious town car, you will get an instant confidence boost. Don’t forget to contact the helpful customer service department regarding all the little details concerning your next drive. If you have any special requirements our dedicated staff will definitely be able to help you. Book our Orlando limo service quickly via the Book Now button above and pay right away with any major credit card. You won’t have to worry about the cash once the limo arrives and you will be able to enjoy the service and relax.